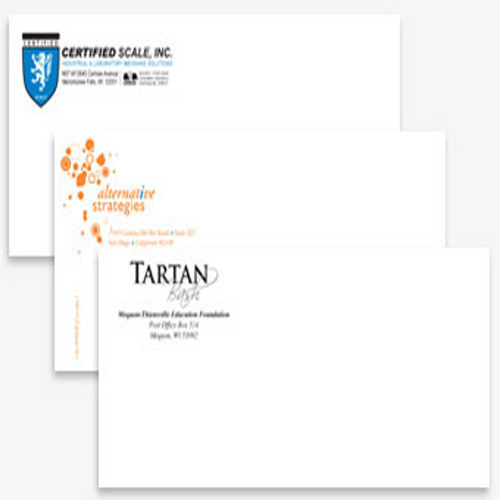 We offer "Envelopes and Commercial Printing" to our Clients, using latest printing technology. In addition, we manufacture and supply envelopes to the various corporate as well as commercial needs of our clients. We are a renowned name in the sphere of manufacturing and supplying world class printing services. We have achieved great expertise in customizing these products and services as per the specifications, detailed by our clients. We have established latest facilities, which enable us to provide our services with unmatched quality. Our product and service range comprises Customized Envelopes, Machine Made Envelopes, Complete Envelope kit, Offset Printing, Web Printing, Variable Data Printing, Graphic Design. We also provide mailing services such as Web Printing Services, Offset Printing Services, etc.